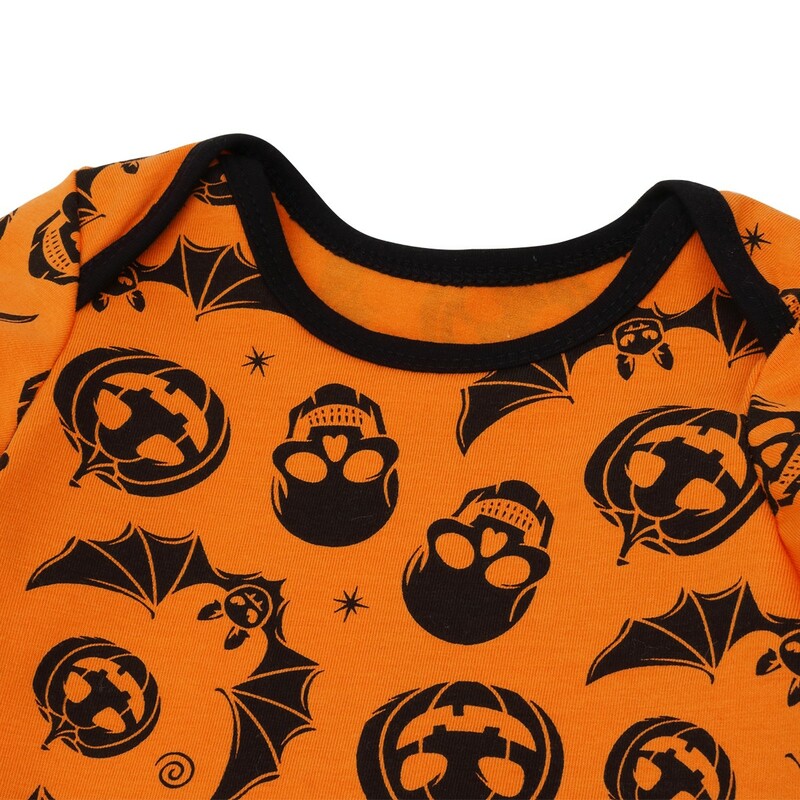 Lovely Baby Girl's Halloween Romper with Headband, short sleeves. 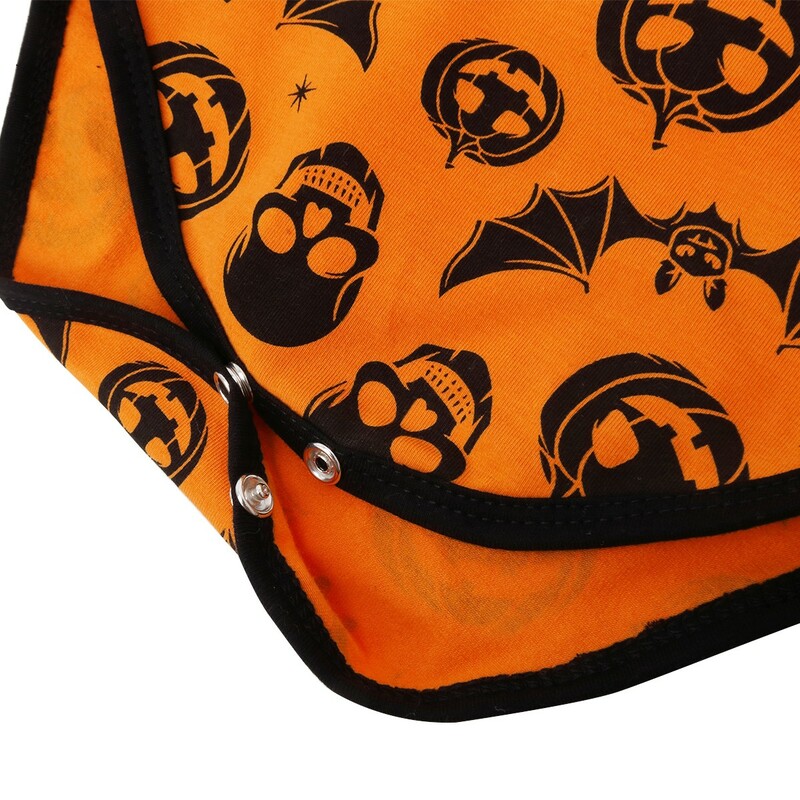 Allover with pumpkin, skull and bat design. Snap closures at bottom for easy diaper changing. Matching with flower headband, lovely and beautiful. Suitable for birthday party, photos, Halloween, holidays or just daily wear.